I read this article and found it very interesting, thought it might be something for you. The article is called Composite Fillings and is located at https://www.dencaresmilecenter.com/cosmetic-dentistry/composite-fillings/. Are “Tooth-Colored” Fillings right for you? When you are deciding on a filling material, there are a variety of factors to consider. 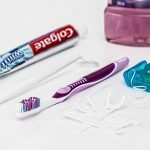 These are best discussed with your dentist to learn more about the different options available and how they may or may not work for your personal situation. What is a “Composite” Filling? White fillings, also called composite fillings, are made from “tooth-colored” materials that restore the natural appearance of a decayed or previously filled tooth. These composite fillings are one of the most popular options, for a number of reasons. 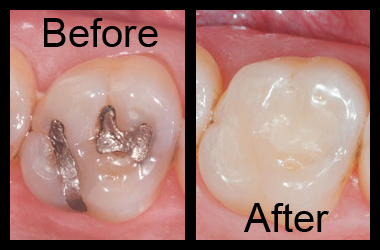 They have a more natural appearance in comparison to other materials, such as silver amalgam. In addition, they don’t contain mercury or other harmful toxins that have been linked to metal fillings. Composite fillings are designed to match the color of your teeth and blend in with your tooth enamel. They are a perfect choice when a cavity is in a visible area such as the front teeth or along the gum line. Composites can also be used in back teeth. How long will a Composite Filling last? Traditionally, composite fillings were not thought to last as long as silver amalgam fillings, but that has changed in recent years with advancements in the science and technology that is used to manufacture them. They are now stronger, more long lasting, and safer than their metal counterparts. 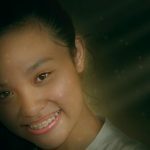 In addition, they lack the metallic taste that some people take issue with that can be found in metal fillings. A composite filling usually requires only one visit, during which time the tooth is prepared and restored. Before the filling is put in place, the tooth must be groomed and shaped so that it can blend seamlessly with the rest of the tooth. An advantage of composite fillings, as compared with other dental restorations, is that they require less of the healthy part of a tooth to be removed to hold the filling in place. This is due to composite materials’ adhesive properties. The procedure for a composite filling may take a little longer than for other types of fillings, because once the decay is removed, the tooth must be kept completely dry and isolated from saliva. The dentist will then carefully apply an adhesive followed by several thin layers of the tooth-colored composite. As with all cosmetic dentistry procedures, you want to be sure that you are in the hands of a professional who is qualified to give you the most lifelike and natural looking restorative results. Although amalgam fillings used to be the most popular option, those who are looking for a more natural look may consider the composite option instead. Although composites may be preferred for cosmetic reasons, they are not as strong as amalgam or gold alloy fillings. For this reason, if a cavity is too large, or is in an area where much chewing occurs, your dentist may recommend a crown. Like all fillings, Composites may need to be replaced over time. For this reason it is a good idea to schedule regular dental exams in order to detect any potential problems before they develop.